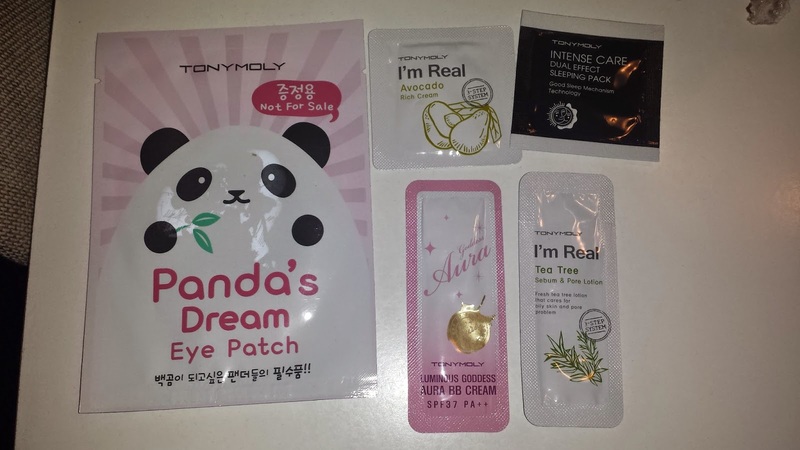 Crafting Deeds and Much Ramblings : Tonymoly Bananas!!!! These are the samples included with the order! I was surprised at how much sample was included with such a small order. 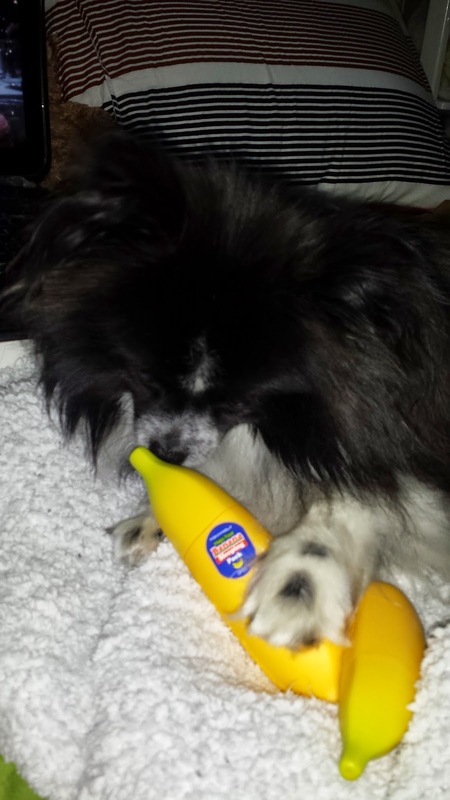 Yes, I had to include a real banana with these fake bananas! Partly for size comparison, and partly to show the colouring, which is pretty spot on. Just showing you how the banana looks like with the lid taken off. The sleeping pack is bigger than the hand cream and because it has to dispense a larger amount, it has a larger nozzle. I think I prefer the larger nozzle. 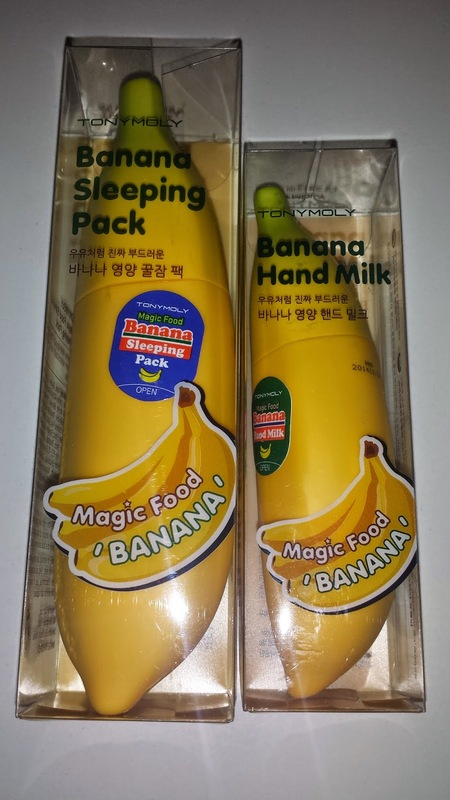 The banana sleeping pack reminds me of that yellow peanut shaped marshmallow you can get it for 5 cents at 7-11 that's supposed to taste like banana. It has this fake banana smell, it's really sweet but also has a hint of sourness with it. I wasn't expecting a real banana smell since let's face it, the real banana doesn't have much of a smell until it's really ripe, then it's between sweet and rotten. When I first smelled it, I thought, oh no, this smell is so sweet I am going to hate it so much and can't use it! But once I got it on my face, I was fine with it. The smell is still there but I can tolerate it. It does dissipate after a while. The sleeping pack is a slightly yellow cream that is on the heavier side, reminding me of a custard. The cream goes on smoothly, I often feel like I am rubbing custard on my face instead of a sleeping pack. I found the sleeping pack to be really moisturizing for my skin. If it's not dry out, and I already used a moisturizing mask. My skin will not absorb all of it. Instead, I will wake up with pilling on my face. So I have learned my lesson. I only use it when it is really dry out, when my Elizavecca sleeping pack is not enough to keep my skin moisturized. It has been really cold the past week after few weeks of above zero temperatures. I could feel my face being really dry, needing some extra moisture. So I used the Etude House propolis mask and then used the banana sleeping pack last night to give my skin extra boost. This morning I woke up to soft and plump skin, ready to face the freezing conditions outside. Even Panda bear likes the sleeping pack. 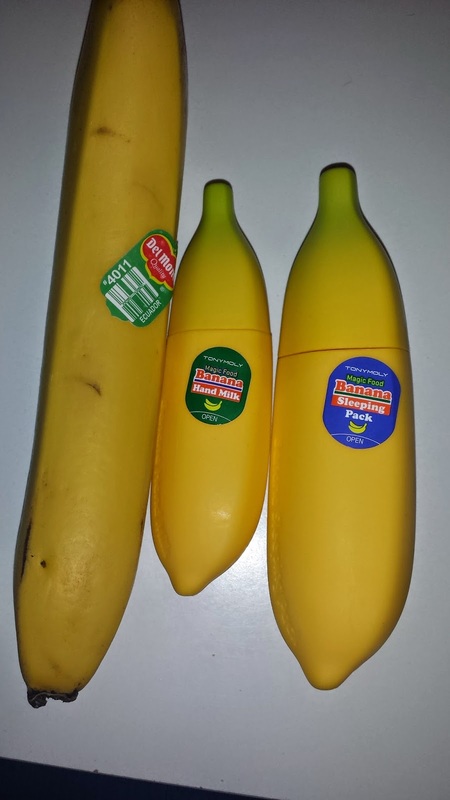 The Banana Hand Milk is the smaller of the two bananas, and it's nozzle is about half that of the sleeping pack. Unfortunately, my love for the sleeping pack does not carry over to the hand milk. The hand milk has a similar smell as to the sleeping pack. But it's got a much sweeter sugary tone to it. It reminds me of those popular banana milk, where it's basically all sugar with a little milk in it. It's just sugary to the max. The smell also takes a while to dissipate so I would end up getting irritated with it and washing it off. 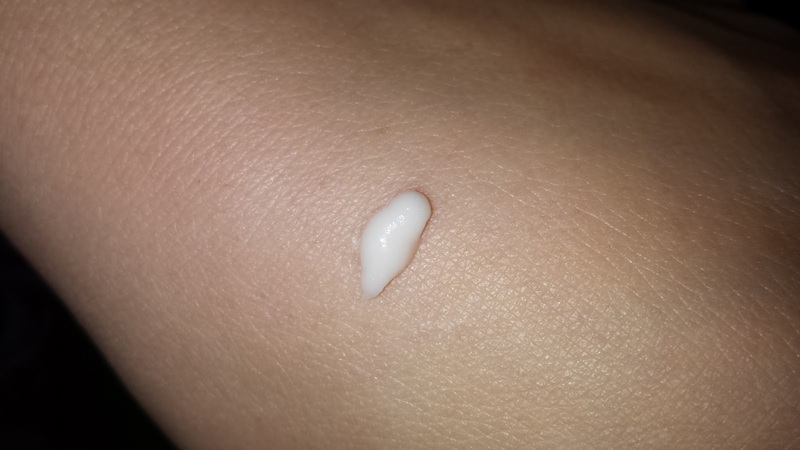 The hand milk is lighter than a normal hand cream, maybe that's why it's called hand milk and not hand cream. It is not as watery as the Pure Smile Snail hand creams though. The hand cream spreads well but I do find I need a large amount to cover my hands. It takes twice as much as the Pure Smile or Innisfree hand creams to feel like I had enough. Due to my dislike of the smell, the double dosage is met with wrinkled nose and disgusted face. As for the moisturizing properties, I can't comment on it. I keep on washing it off too soon in order to get rid of the smell. The one time I did have it on for a while, where I was outside for the most part, I found the hand cream to be average. But like I said, that was only one time and I was outside in the cold weather so it would not be fair to say whether the hand milk works or not in moisturizing your hands. 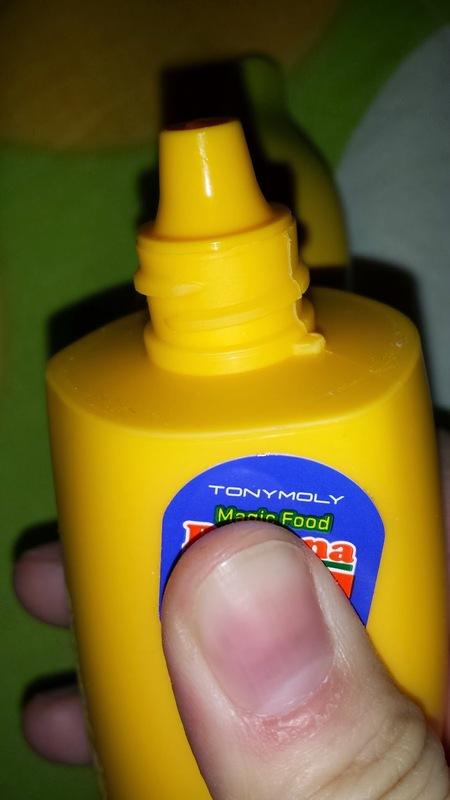 I would not repurchase the Tonymoly Banana Hand Milk as the smell just irritates me too much to worth the trouble. But if you are up for sugary hand cream and a fun shape, this is worth the investment. My friend picked this up for me when she was in Hong Kong visiting family last year. I just have to say I love this gel's consistency! It looks like you have a tub of water gel! I am sucker for these clear gel looking things. My friend warned me that it contains alcohol and some people had reactions to it. But since I was planning to use it on my body and not my face, I wasn't too worried about it. This gel comes out as a soft gel but goes on like it's water. I put it on my legs last night, a mistake by the way, and it just felt like I was putting water on my leg. 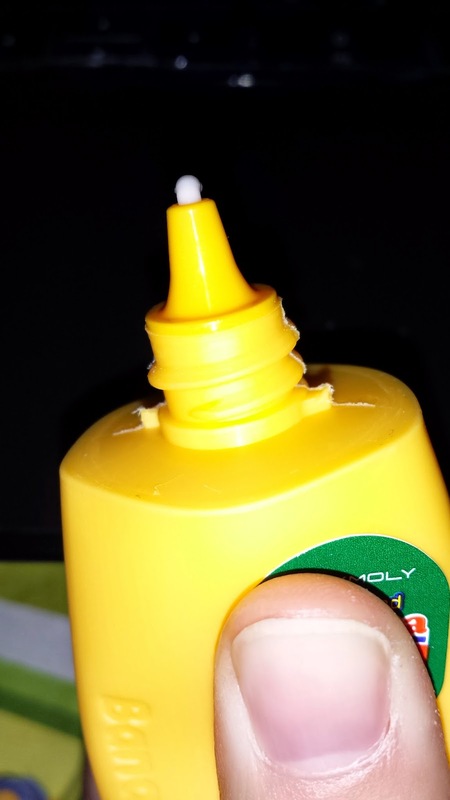 It was a nice sensation, but the mistake was that I put it on in the middle of winter! 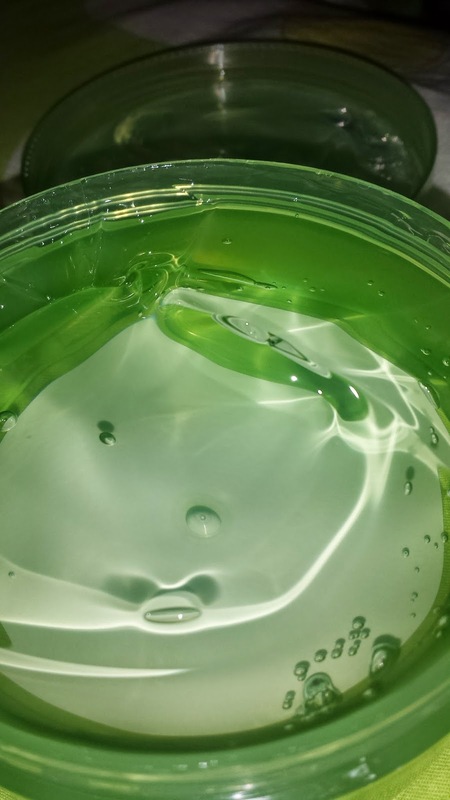 The gel is very cooling and it took FOREVER to dry. I was FREEZING cold for 10 minutes. This is definitely not a gel to use in winter but would be good for the summer heat. 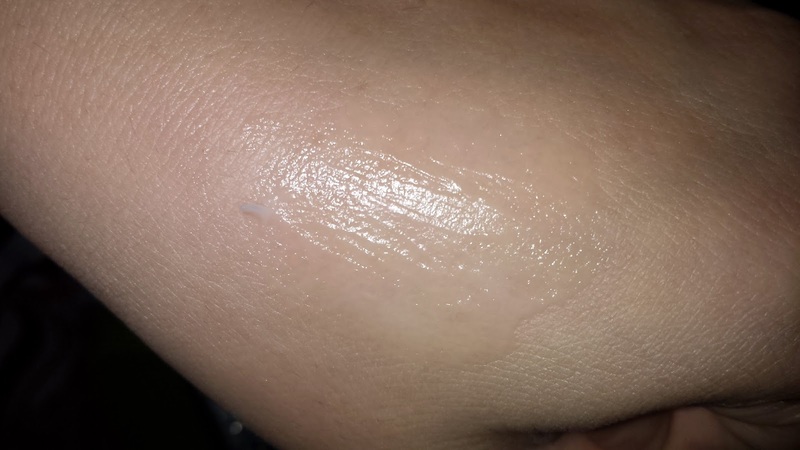 I would like to point out this gel is not moisturizing at all. My legs felt dry last night and was calmer after I put on the gel but it was itchy again this morning. So don't expect too much moisture wise.